The past four years have brought promising discoveries and advancements in the HIV prevention field, as antiretrovirals have moved center stage in the fight to slow the stubbornly consistent rate of new infections in the United States. But while comprehension of the precise benefits and mechanics of treatment as prevention (TasP) and Truvada (tenofovir/emtricitabine) as pre-exposure prophylaxis (PrEP) may have become second nature to many in the HIV arena, a troubling new national survey has found that non-medical employees in this line of work are sorely lacking in such understanding and awareness. If the survey were graded, the respondents would have scored a collective D on the test. A Black AIDS Institute–spearheaded report on the survey argues that the knowledge deficit the survey exposed represents a critical missed opportunity to help improve the rates of HIV-positive people who are engaged in regular medical care and on successful treatment. Standing against TasP’s potential is a phenomenon known as the treatment cascade (also known as the care continuum), in which a descending percentage of HIV-positive people are diagnosed, linked to medical care, in regular care, prescribed antiretrovirals (ARVs), and virally suppressed. In a recent analysis, the U.S. cascade figures were uniquely dismal compared with those of other Western nations, with just two-thirds of HIV-positive Americans linked to care and only about a quarter virally suppressed. “The truth of the matter is that with all of these biomedical interventions that are available to us, we don’t appear to be moving the needle in the areas that are most important,” reflects Phill Wilson, president and CEO of the Black AIDS Institute. A recent study out of the Centers for Disease Control and Prevention (CDC) has speculated that as much as 91.5 percent of new HIV infections transmit from those who are undiagnosed or who aren’t in regular care. (The mathematical modeling-based study does have numerous limitations, however, which prompts questions as to whether the figure is inflated.) According to Wilson, an improved scientific knowledge base among non-medical workers in the field may give them an increased capacity to move people living with the virus along the care continuum and ultimately chip away at the estimated 50,000 new HIV infections the United States sees annually. Additionally, as use of PrEP gathers steam, such momentum may ultimately stall if swaths of front-line public health employees remain as ignorant about Truvada as much of the general public. Only about a quarter of gay and bisexual men who responded to a recent Kaiser Family Foundation national survey said they had even heard of PrEP. Wilson says he and his colleagues were inspired to undertake the survey of non-medical employees in the HIV field after getting a firsthand sense of the HIV-related scientific awareness of such workers during the educational sessions the organization conducts with members of various HIV organizations from around the country. “Often we would discover that the baseline knowledge was lower than we thought it would be in developing the training, which required us to go back and do some remedial work,” Wilson reports. 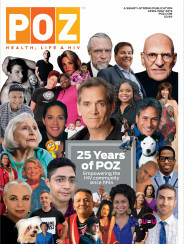 The 62-question, web-based survey tested knowledge about HIV science, ARVs and PrEP among more than 3,600 non-medical employees in the HIV-related workforce in 48 U.S. states and territories. This included prevention and outreach workers, managers, administrators, case management or social workers, and people in support services. The respondents worked for AIDS service organizations (ASOs), health departments or community-based organizations (CBOs). On average, the survey respondents answered just 63 percent of the questions correctly, including 76 percent of those covering basic knowledge and terminology, 56 percent of the HIV treatment questions, and 46 percent of those on the use of ARVs to prevent transmission of the virus. Only 19 percent of the respondents scored 80 percent or higher on the test. When the results were broken down by job title, the overall scores ranged from a low of 53 percent among those in support services to a high of 68 percent among the collective of administrators, directors and managers. Thirty-seven percent of survey participants rated themselves as “very” or “extremely familiar with PrEP; the corresponding figure for TasP was 42 percent. Black and Latino workers scored lower than whites, as did those working at smaller organizations. On the bright side, employees of groups that served higher-risk populations, such as MSM, had better scores. Those with greater formal education scored higher, as did those who have been working in the HIV field for longer. The changing dynamics of HIV medical care may be increasing the need for a scientifically savvy non-medical workforce. 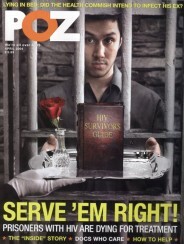 Considering the immense time crunch clinicians and nurses work under, the task of educating people with HIV about treatment often falls to case managers, social workers, outreach staff and community health workers. In addition, the proportion of HIV-positive Americans receiving care from physicians who are not highly experienced HIV specialists is rising. The advent of the Affordable Care Act (Obamacare) has likely accelerated this shift, as many people with HIV gain access to health coverage, increasing the demand for physicians to treat them. The Black AIDS Institute has joined with the CDC, the Latino Commission on AIDS, the National Alliance of State and Territorial AIDS Directors, Johns Hopkins University-Bloomberg School of Public Health, and Janssen Therapeutics in issuing a report calling for a national campaign to address the deficits in scientific knowledge uncovered by the survey. The report suggests various means of tackling the problem, including conducting training programs that educate workers about HIV science, help improve employees’ ability to connect people with HIV into medical care, and teach those workers how to effectively promote PrEP. In addition, the report proposes the development of new guidelines that would dictate what employees in the field should know about HIV science, as well as a national certification program to monitor such knowledge. Lastly, the report calls for a dramatic increase in the proportion of HIV-positive employees, since the 16 percent of such workers who replied to the survey scored higher than their HIV-negative colleagues. The difference, however, was razor thin, and doubtfully statistically significant: The HIV-positive respondents had an average score of 65 percent, compared with 63 percent among the HIV-negative individuals. The report itself is high on hope for change but short on specific details, such as who would run the proposed certification program and where the funding would come from for the suggested initiatives. Wilson says the Black AIDS Institute intends to partner with a wide swath of policy makers, health departments, ASOs, CBOs and others to work out the finer points of the proposal. Following a recent trend in messaging where HIV care and prevention is concerned, the report leans heavily on talk of an end to the AIDS epidemic. Improved scientific literacy, the report insists, will play a key role in achieving that goal. Recently, some leaders in the HIV arena have expressed skepticism about the wisdom of using such verbiage at a time when the country as a whole has failed to actually stem the tide of new infections, much less send HIV incidence into a rapid retreat. As for the likelihood that educating the HIV field’s workforce en masse will lead to significant progress, the report unfortunately lacks actual evidence of a direct correlation, or the strength of any correlation, between scientific literacy among these employees and improvements in treatment cascade rates, increased use of PrEP, and lowered rates of new HIV cases. The report gives no clue as to whether educating one type of employee over another might yield more bang for the buck, and can therefore provide no guidance about which realm of the HIV field to prioritize with educational efforts in the event of limited financial resources. Wilson says the survey was not designed to address such questions, and that future research could do just that. As for now, he’s taking his message of change to the masses, touring the country in hopes of stirring up enthusiasm for his vision of how to better fight HIV—or, in his words, ultimately to end it.